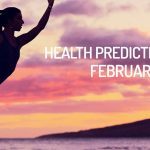 Looking for the health predictions for February? Stars have shown what to expect for February 2019 in what comes to health. Come and check it out! In terms of self-care, February will be a significant period for the natives of Aries. In the first place, the entrance of the asteroid Vesta to the House XII of the sign, on February 1st, speaks of reconnecting with the Divine. Recall that Neptune and Chiron are present in this location (House XII de Aries), which translates into an inclination towards mysticism, and alternative healing therapies. Although Chiron will leave the XII House of Aries, on February 18th (the same day that the Sun will enter this section of the astral map), its transit made clear those patterns related to the fear of loneliness. You can invest time in solving the problems of others, with the aim of being considered necessary and indispensable, and also evade their true work of consciousness. The entry of the Sun in the House XII of Aries, not only refers to a spiritual awakening (regardless of your religious path), but will bring to light the pending internal task, so that you are responsible for it. Finally, the Full Moon in Virgo of February 19th, will affect the House VI of Aries, highlighting that it is necessary to put an end to the habits, which you know very well do not contribute anything to the strength of your body and spirit. The lunar event also encourages people to adopt a healthier lifestyle, spend more time at home, apply a better system for managing time, and enjoy periods of rest, without thinking about after. In this season, the practice of meditation techniques, prayer sessions or psychological therapy (individual) will be especially favourable. In the same way, participation in charitable or humanitarian activities will bring satisfaction and new contacts, as long as you are clear that you must first meet your needs, and that collaboration arises from love and not from hidden agendas, as this attitude it will only lead to an intense feeling of emptiness. The beginning of the retrograde phase of the asteroid Pallas on February 18th in the VI House of Taurus, alludes to problems in the organisation of time, which affect both work, as well as physical health and the handling of domestic tasks. The disadvantages can arise in several levels: the subject neglects the work area to solve the domestic situation, or vice versa, causing intestinal disorders and unhealthy sleep patterns, for not respecting the feeding and rest schedules. Likewise, it is possible that the native of Taurus is engaged in a strict schedule, placing greater pressure on his shoulders, and with it a burden of frustration and despair. The retrograde of Pallas in the House VI of Taurus (transit that will remain until May 30th), can be used to identify the distracting elements that undermine the optimization of time, and thoroughly know your habits and routines. If you know how long it takes you to do a task, you can better organize your day. However, for this resource to work it is essential that you be honest with yourself (it is about real values, not what you would like it to be). On the other hand, also on May 18th, Chiron will enter the XII House of Taurus, where Uranus is also located (until June 3rd). This transit prompts to attend to what remained hidden. Chiron in the XII House of Taurus also favours therapies (both psychological and spiritual), connection with psychic abilities, and the study of mystical and metaphysical themes. In this planetary position, Chiron seeks the healing of the soul, and how to use that experience to contribute in favour of the collective. The fact that Uranus is in the same location, even for a short time, sharpens the perception of Taurus, and urges them to accept themselves as free and independent beings, as long as they do not use some method of evasion, such as the love for technology and devices. Generally speaking, February 2019 will be a positive period for the health of the Gemini natives. The entry of Juno into this sign on February 11th, turns attention to the practice of self-care. However, in low vibration, the subject can distort this tendency and think about satisfying all their whims or dedicating themselves to self-indulgence (with Eros in Gemini, until February 18th). The best way to take advantage of the available energy, with the presence of the asteroid of commitment in Gemini, is identifying negative habits and assuming responsibility for one’s own well-being. Another event that you must bear in mind, during February 2019, is the entrance of Mars in the XII House of Gemini on February 14th, a transit that makes it easier to detect the real reasons for dissatisfaction. Mars in the XII House of Gemini also speaks of a hyperactive unconscious, which sometimes can hinder the process of falling asleep or having a restful sleep. One way to get benefits from the situation, is to channel the imagination into the creation of new ideas and projects, both professionally and personally. Avoid escapism and the patterns that impel you to evade reality. In general, Cancer natives will enjoy good health during this period of the year. The presence of Jupiter and Ceres in House VI of this sign indicates the importance of self-care at all levels. Ceres in House VI of Cancer is an excellent ally if you want to change your eating habits, and opt for healthier alternatives (do not avoid consulting a professional in the field, believing that you know everything). Likewise, Jupiter on the same site (House VI of Cancer) talks about how we grow by learning to meet our needs, in the same way that we care for others. However, keep in mind that Jupiter in House VI of the crab can also lead you to exaggerate (training or working until exhaustion, eating without control or restricting food intake to the limit). Finding the balance between both states (excess and restriction), will be what brings you closer to true well-being. Although it can be a difficult task, you will have the possibility of requesting professional support. The entrance of Juno in the XII House of Cancer, on February 11th, is another of the astrological events of the season, to which you must be especially attentive. The transit of this asteroid on the House XII of Cancer can be interpreted in two ways: the return of a person who was relevant in your past (sentimental), or the manifestation of holding on to the old, although it no longer contributes anything to the personal evolution. The best way to take advantage of this transit is to dedicate time to inner healing and finally let go of the old. As it deals with hidden emotional wounds (hence its expression in House XII), it is advisable not only to carry out the work of conscience, but to receive accompaniment, therapeutic and spiritual, by specialists in the subject. The presence of the asteroid Psyche in the VI House of Leo, favours the study of the negative psychological patterns, that block the success and the personal overcoming of the subject. Given that Psyche alludes to the vulnerability itself, and the process can be painful (as well as revealing), it is convenient to have the accompaniment of a professional therapist. Do not forget that also in the House VI of Leo, are Pluto, Saturn and the South Node, which means that you must reach the deepest layers of being, dismantle the old structures and beliefs, and point to a real transformation. It will not be easy or fast, but it will be worth the effort. The entrance of Venus in this location (House VI of Leo), on February 3rd, highlights that the process must be carried with love and compassion towards yourself, not blame, recriminations, and criticism, for not reaching the ideal of perfection. It is worth noting that the presence of the North Node in the XII House of Leo, indicates that the work of individual conscience (the one you perform on your own), is also particularly important in this phase of your life. You may feel the need to retire and spend time with yourself, to rediscover your inner world, or practice some psychological or spiritual discipline, which not only facilitates your progress on the evolutionary path, but also allows you to share your experience with third parties. The sessions of meditation, prayer or even the practice of relaxation techniques (regardless of your religious line), are well taken during this season. The physical health of the natives of Virgo will be influenced by the main lunar events, which will take place during February 2019. In the first instance, the New Moon in Aquarius on February 4th, will touch the VI House of Virgo, which places priority on self-care, and analyses the current life habits. You may consider that you maintain a healthy diet, avoiding excesses, but the restrictions can also generate significant imbalances, physically, mentally and emotionally. The New Moon in Aquarius presents the opportunity to go to a nutrition specialist, assess your current health status, and design a food plan adapted to your goals and lifestyle. In other words, the type of food you require is not the same if you work in an office, at home, or if you are preparing to participate in a marathon. The same applies for the intake of supplements and medications. This trend will be reinforced by the Full Moon in Virgo on February 19th, a lunar event that, when produced on your sign, impels you to close cycles, and orientates you towards the future. The season is conducive to garage sales, exchange of clothes with friends, or simply donate what you no longer use, is in good condition and meets the needs of another person. Likewise, the reconnection with what really defines you is valued, beyond your work or profession. Dare to see things from another point of view, and do not be afraid to take a different path, if that brings you closer to your soul’s essence and desires. The entrance of the asteroid Vesta in the VI House of Libra, on February 1st, highlights the importance of the connection with one’s own body, spiritual recollection and the ritualisation of daily routines. The subject can feel impelled to explore his own spirituality, practice meditation or prayer, and dedicate time to self-knowledge and reflection, starting from a process of deep introspection. It is worth noting that Neptune is also found in House VI of Libra, so it is important to be careful with self-medication and the intake of alcoholic substances. Neptune may be connected to a desire to evade reality, but by highlighting what one does not want to see, it makes it possible to identify the causes of dissatisfaction to be consciously worked on. This process will be facilitated with the entry of Mercury and the Sun into House VI of Libra (on February 10th and 18th, respectively). The planet of communication is an excellent ally when it comes to analysing the present, and the different lines of action. On the other hand, the Sun provides clarity on the chosen path, in addition to strengthening the physical state of the natives of Libra. These alignments also point to the need to take action, and not stay on the mental plane. In other words, if you want to take a course, sign up; if you want to reduce your weight, go with a nutritionist or a physical routine advisor, who will offer you accompaniment in the process; and so, in countless cases. It is about putting your ideas into practice and not waiting to be materialized, through the intervention of others and without any input from you. You are responsible for your destiny, the actions you take and their consequences. Another aspect that you must keep in mind at this time of the year, is the Full Moon in Virgo on February 19th, which will touch House XII of Libra. The lunar event is an excellent opportunity to capture patterns of escape and escapism, deal with hidden blocks (with the accompaniment of a professional therapist), and rediscover your true spirituality, regardless of whether you are on a religious path or not. On February 18th, Chiron will enter Aries, where he will remain until April 2027. For the natives of Scorpio, this transit is located on House VI, sector of the astral map that refers to daily routines, home and labour relations. Chiron in House VI of Scorpio encourages the practice of self-knowledge at all levels (physical, mental and emotional), and acceptance of the natural abilities of the individual, as a means to help others. However, this alignment also speaks of what is repressed (especially anger), and can lead to the manifestation of psychosomatic ailments. In low vibration, the subject can take advantage of Chiron in the VI House of Scorpio, to evade the responsibility of self-care and the construction of the personal project, devoting attention to the resolution of conflicts of third parties. It is important to keep in mind that this planetary position (Chiron in the Scorpio House VI), aims to cultivate self-care from an integral approach (mind, body, spirit), and as a conscious decision (not imposition). While you may be aware of which patterns you should address, during Chiron’s stay in Scorpio’s House VI, do not fall into the trap of thinking it will be a one-day event (influence of Uranus in House VI, until March 5th). You will face a deep and intense healing work, where you will have to go (layer after layer) until the origin of the situation. Staying on the surface, you will hardly achieve the healing. Another aspect that you must bear in mind, in February 2019, is the beginning of the retrograde of the asteroid Pallas in the XII House of Scorpio, an event that will also take place on February 18th. Retrograde shovels in House XII of Scorpio indicates that there is the possibility of losing calm in extreme situations, causing a nervous crisis or stress, something rare for natives of the sign. However, this transit can be used to explore the feelings (overwhelm, guilt, resentment, remorse, anger, frustration) that have remained hidden, and channel them in a positive way. The sessions of psychological or spiritual therapy, the practice of meditation or prayer, outdoor walks, and reading self-help texts, are some of the activities best suited, during this season, to support you in the process of finding your inner balance. In general, the physical state of the Sagittarians will have a positive balance, during February 2019. On February 14th, Mars will enter the House VI of the centaur, conferring greater vitality to the natives of this sign. Although you feel full of energy, it is convenient to avoid excesses, especially in physical training routines and sporting events, since there is a greater tendency to suffer minor muscle injuries. Remember that the fact that Jupiter will remain in Sagittarius, all year of 2019, and as regent of the centaur sign points to personal expansion, at all levels. However, in low vibration, encourages exaggerated and wasteful behaviour. On the other hand, Mars in the VI House of Sagittarius is an excellent ally to take up New Year’s resolutions. If you think you have lost momentum, the warrior planet will give you all its energy to guide you towards your goals. In this sense, February 2019 is a good season to ask for nutritional advice or about exercise routines with professionals in the field. In this season of the year, it is crucial that you receive accompaniment and do not try to do things on your own, because you are not infallible. With the proper supervision, you will achieve your goals in less time than expected and without threatening your physical or emotional integrity. Get rid of prejudices, which are only extra baggage, and accept the help you need. In general, the health of the natives of Capricorn will have a positive balance, in this period of the year. The entry of Juno in the House VI of the sign on February 11th, emphasises the need to commit to one’s own well-being. Juno in House VI of Capricorn highlights the importance of practicing self-care, and overcoming those negative habits that undermine the personal development of the subject. Remember that Capricorn is going through an interesting process of change, with Saturn, Pluto and the South Node on the sign, suggesting a conscious transformation, which collapses the old to build from scratch. In this sense, the entry of Venus in Capricorn, on February 3rd, points to the acceptance of changes, not as an imposition, but with the conviction that it is the best for you. The feeling of loneliness that accompanies this stage can be overcome with the support of the life partner, as indicated by the presence of the North Node in the House VII of Capricorn. For the singles of the sign this position (North Node in the House VII of Capricorn), says that it is essential to cultivate the relationship they have with themselves, since it will be the beginning of everything. Last but not least, keep in mind that Jupiter remains in your House XII, which translates into the importance of introspection (reflection, meditation, or prayer) to maintain your internal balance. It is self-knowledge that you will extract the best things that will accompany you on your way, because the external can change at any time and for any circumstance. Your essence prevails over everything. The New Moon in Aquarius of February 4th, opens a window for personal reinvention, which can be used by the sons and daughters of Aquarius. The lunar event refers mainly to the search for new experiences, friendships and projects. The native can renew his surroundings; take advantage of the practical applications of technology (simplify agenda, remote work, promote products through digital media); and stop over analysing their proposals, to take them definitively to action. Do not forget that Pluto, Saturn and the South Node are in your House XII, which means that the structures of the past, only retain you and do not allow you to deliver your potential to the world. In the same way, the North Node in House VI of Aquarius points to the definition of professional goals, which will lead you to build the future you dream and long for. The road will not be free of obstacles. Keep in mind that Lilith is kept in Aquarius, so your worst critic or detractor to win will be yourself. While this astrological position also tells us about tests with friends, it will only be the projection of your inner world. Moreover, the income of the asteroid Eros in the House VI of Aquarius on February 19th, can lead to self-care, or, in low vibration, it can make you lose direction by excessive complacency. In this season, you should spend some time away from electronic devices or other means that may stimulate you, at least one hour a day, in order to silence external voices and pay attention to what happens inside. In February 2019, the natives of Pisces will enjoy vitality and physical strength, thanks to the entry of Mercury and the Sun in this sign (on February 10th and 18th, respectively). The presence of the Sun in Pisces (from February 18th) will allow you to gain metal clarity, despite the presence of Neptune in the same sign. It is an especially favourable alignment for those who are immersed in the launching of creative projects, since it unites the imagination (Neptune) with the willpower (the Sun). In the same way, Mercury in Pisces refers to the dissemination of ideas, related to an activity of an artistic nature, or a social problem that captures your interest (help is sought for the less favoured). This transit (Mercury in Pisces) also constitutes an excellent ally when meeting other spiritual currents, or exchanging knowledge with people of mystic or religious vocation. In this sense, the entrance of the asteroid Vesta in Pisces on February 1st aims to rediscover your own spirituality, and even dedicate yourself to an alternative discipline or therapy, with the purpose of promoting both inner healing and that of others. The trend will be reinforced with the New Moon in Aquarius on February 4th, which will play the XII House of Pisces, an event aimed at releasing the past definitively, to start a new cycle. The available alignments can encourage Pisces natives to change careers to devote themselves to something spiritual or creative, participate in artistic or humanitarian projects, or even try to balance these aspects with their present professional occupation. It is worth noting that, with the lunar event of February 4th and the presence of Vesta in Pisces, the psychological therapy group sessions will be helpful, as you will understand that you are not alone in the world: many people are immersed in the same process of healing and self-discovery. In addition to the therapeutic sessions and spiritual practices (meditation, prayer), relaxation exercises, outdoor walks (in places where water abounds), massage and acupuncture, will be the best suited activities during the season. Finally, it is important to point out that on February 18th Chiron will leave Pisces to move to the House II of this sign, where it will remain until April 2027. This planetary movement will help you to move from self-discovery to the healing of beliefs and self-esteem. Chiron in the II House of Pisces supposes to stop looking for the validation of others, through the approval or the accumulation of material goods, because you are wonderful as you are, with everything that makes you different.